Rejuvenate and awaken the delicate eye area with AromaWorks' Absolute Eye Serum; a fast-absorbing, anti-aging formula that works to smoothen and moisturize skin. Fortified with BioActive ingredients, the powerful serum works to minimise the appearance of dark circles and wrinkles, whilst Hyaluronic Acid delivers superior hydration to reveal a brighter, more refined eye contour. 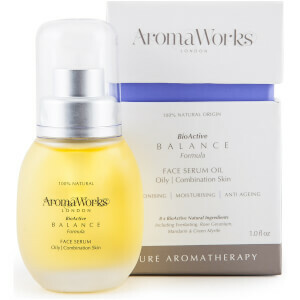 Imparts a luxurious fragrance blended from Sweet Carrot, Bergamot, Rose and Frankincense to uplift the skin and senses. 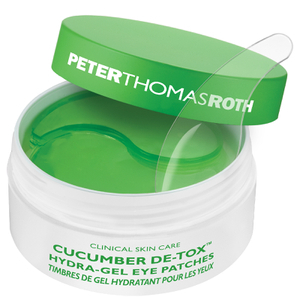 Can be used as an eye mask for an intense overnight treatment. 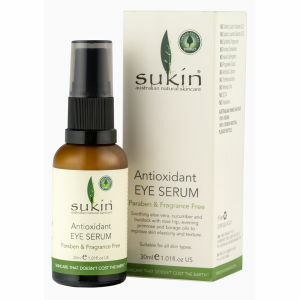 Apply daily to the eye area to rejuvenate the skin. For a deeper treatment, use as an eye mask and leave to absorb overnight. Aqua, Glycerin, Citrullus Vulgaris (Watermelon) Fruit Extract, Pyridoxine Cyclic Phosphate, Sodium Pca, Anastatica Hierochuntica Extract, Sodium Hyaluronate, Glycosasminoglycans, Arnica Montana Flower Extract, Acanthopanax Senticosus (Eluthero) Root Extract, Condrus Crispus Powder, Cucumis Sativus Fruit Extract, Equisetum Arvense Extract,Phenoxyethanol, Ethylhexylglycerin, Lecithin, Ubiquinone, Xanthan Gum, Rosa Centifolia Flower Oil, Boswellia Carteri (Frankincense) Oil, Daucus Carota Sativa (Carrot) Seed Oil, Jasminum Officinale (Jasmine) Oil, Citrus Aurantium( Neroli) Oil, Bergamot (Citrus Bergamia) Fruit Oil, Angustifolium Flower Oil, Limonene, Gernaniol, Citronellol, Linalool.